Born on 16 September 1838, near Guelph, Upper Canada, the son of James Hill and Anne Dunbar. In 1867 he married Mary Theresa Mehegan of St. Paul, Minnesota. They had five children. He was first employed as a clerk for a line of packet steamers on the Mississippi. In 1867 he became an agent for the St. Paul and Pacific Railway Co.which company was to be the nucleus of the Hill railway empire. He became interested in transportation on the Red River, and in 1872 Norman W. Kittson, who was acting as agent of the Hudson’s Bay Company, asked Hill to join him by consolidating their separate operations as the Red River Transportation Company. The successful operation of this company laid the foundation of Hill’s fortune. When he needed capital to buy the bankrupt St. Paul and Pacific Railway he first enlisted Kittson and together they induced Donald A. Smith (later Lord Strathcona) and George Stephen to join them. These four men purchased the St. Paul and Pacific Railway Company in 1878. He regarded this as the great adventure of his life. In 1879 the company was reorganized to become the St. Paul, Minneapolis and Manitoba Railway and eventually part of the Great Northern Railway Company empire. Hill played an important part in the first years of the Canadian Pacific Railway. 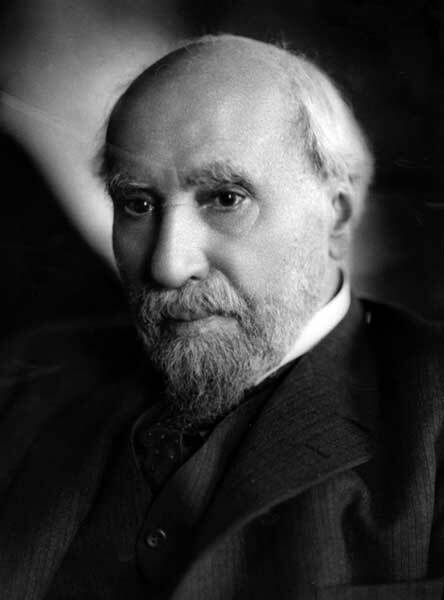 Donald Smith and George Stephen had been of great assistance to him when he acquired the St. Paul & Pacific Company and they turned to him for assistance in connection with the projected all-Canadian railway. He was a member of the original syndicate which underwrote the project. He was a director of the CPR, 1880-1883, and it was he who recommended William C. Van Horne to the directors as the man best qualified to carry out the construction of the transcontinental line from Montreal to the Pacific Ocean. He died at St. Paul, Minnesota on 29 May 1916. He is commemorated by Hill Street in Winnipeg, and Hill Avenue in Brandon. Author of Highways of progress (1910), The Future of the United States and other lectures. James J. Hill and the Opening of the Northwest by Albro Martin (1976).